On 25 June 2018, EU and Canada announced new punitive measures, sanctioning seven Myanmar security officials for their role in the country’s atrocity crimes against the Rohingya ethnic minority. odd man out in Western efforts to ensure international accountability, or so it seems. Indeed, on exactly the same day the Office of Myanmar Commander-in-Chief Senior General Min Aung Hlaing issued an official statement, which announced the sacking of Major General Maung Maung Soe, the regional Commander of Rakhine Command and the “retirement” of Lt-General Aung Kyaw Zaw, Director in charge of a Bureau of Special Operations which, from the Commander-in-Chief’s office, oversees the Rakhine Command. Officially this was due to deteriorating health. But upon a closer look, EU and Canada latest statements of punishment and accountability, and Myanmar’s reaction to them, in the view of Rohingya survivors of Myanmar genocide are largely empty, and rightly so. Myanmar’s border region that stretches 100 kilometres. 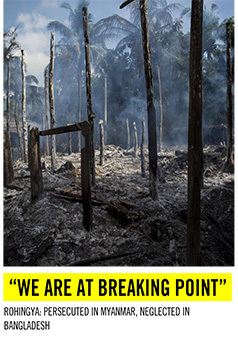 Myanmar’s conduct triggered the ICC Prosecutor’s Office to seek the world court’s ruling to go after Myanmar generals for crimes against humanity – cross-border deportations of over 700,000 Rohingyas at the lightening speed of 100,000 per week. 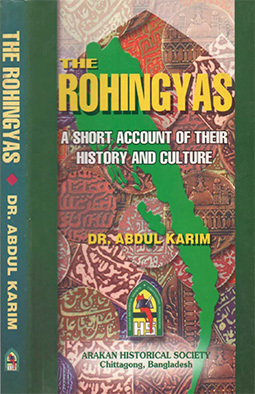 For the last 40 years the world’s leading member-states which wield both veto power at the Security Council and economic influences in Myanmar (for instance, Japan and India) have been pussyfooting around Myanmar’s well-documented international crimes against Rohingya, Muslims and Christians such as Kachins, as well as other ethnic minorities including Karen, Shan, Mon and Chin. 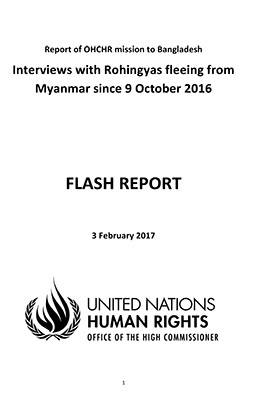 The Special Rapporteur on human rights situation in Myanmar has been given a mandate every year since 1991 because of the systematic and pervasive human rights crimes against Rohingyas and other minorities committed by the Burmese military. They enjoy blanket impunity. Despite the growing call for a Security Council referral of the Myanmar case to the ICC, it has more or less continued business-as-usual. Not a single meaningful action has been taken. While President Macron of France, one of the Perm Five, so-called, calls Myanmar’s atrocity crimes by their legal name GENOCIDE, France’s businesses including its oil and gas giant TOTAL stay put in Myanmar. Meanwhile the genocide in Western Myanmar continues and the war against Kachin Christians in Eastern Myanmar worsens. To be sure, France is not alone in pursuing its corporate and commercial interests. According to a recent Myanmar Times news report, there are 300 EU investors with a Myanmar portfolio with the combined total of US$6.7 billion, a third of which was poured in even as the allegations of Myanmar genocide were fast-becoming headline news. “hallmarks of a genocide” (UN Special Rapporteur on human rights situation in Myanmar Yanghee Lee), “acts of genocide” (the outgoing UN Human Rights head Mr Zeid) ‘crimes against humanity” (ICC Prosecutor Fatou Bensouda) and “genocide in the making” (Milosevic’s lead prosecutor Sir Geoffrey Nice). Whatever the legal name of Myanmar’s crimes, their severity, magnitude and nature compel these notable figures of international law, human rights and politics to throw away their professional caution to the wind, in order to get the world’s global governing and justice institutions to act. of Berlin, Irwin Cotler, former Justice Minister of Canada and professor of international law at McGill University, called attention to this deeply troubling global pattern of leadership failures, particularly among the leading nations that are supposed to shepherd the rest of our troubled world. In Cotler’s words: “we know, but we do not act”. the context of the military’s international crimes. She is proactively engaged in denial and the dismissal and distortion of their very genocidal nature. As a Burmese who has been outraged, distraught and saddened by what I know to be my country’s most heinous crimes, I feel insulted that EU and Canada would mock the idea of accountability by issuing empty statements of punishment while continuing to hold the lucrative hands of the perpetrators at the very top of power hierarchy, Senior General Min Aung Hlaing and State Counsellor Suu Kyi. The ultimate form of justice Rohingya need and desire is a protected return to their protected homeland in Northern Rakhine.